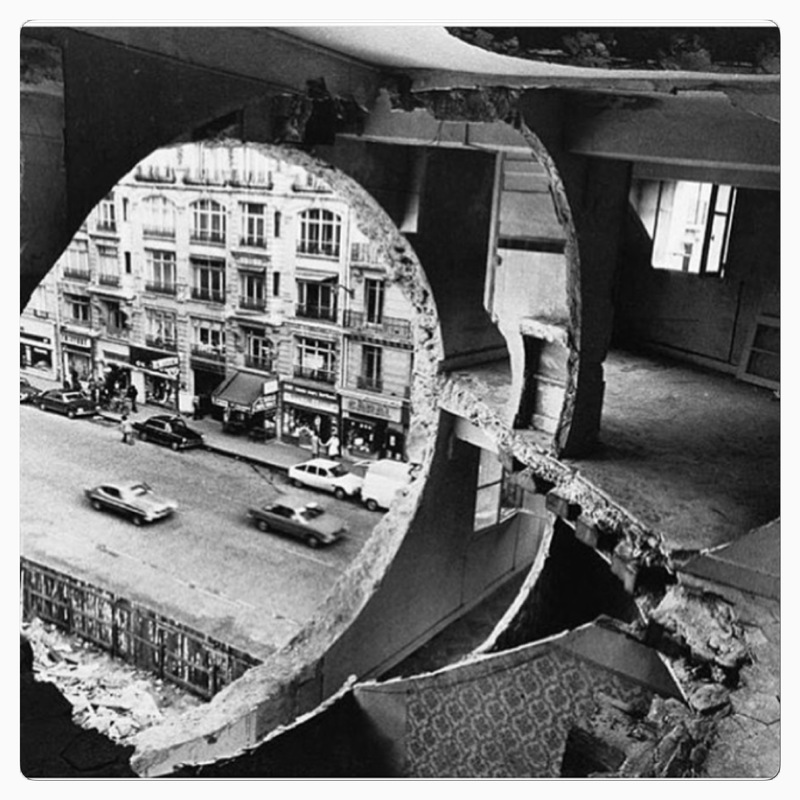 This is one of my favourite images from Gordon Matta-Clark’s series, Cuts. Gordon Matta-Clark was a dynamic artist who practiced in New York City, during the 1970s. Matt-Clark’s diverse work was forged by hand, on soon-to-be-demolished buildings. A series of photographs were taken featuring his alterations to a vast number of New York City buildings that were in various states of decline.